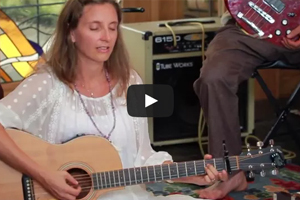 Experience your Power and Awaken your Dharma through Music, Mantra and Connection. In this 5 day experience for women, through cultivating a powerful and safe community, we will immerse ourselves in the yoga of music through the vessel of Bhakti yoga. We will tap our unique voices and merge our hearts through chanting, playing and learning about our instruments, creating and sharing songs, and deepening our understanding about the myths and powers of the mantra, and the strength of empowered women. Women who are students of life, music and yoga, and interested in cultivating more awareness and expanded practices involving Bhakti yoga, chanting, mantra and/or musicianship. Yoga teachers who want to bring more experience of bhakti yoga and/or chanting to their classes. Musicians who are interested in merging their music with bhakti and mantra. Yogis who want a deep bhakti immersion and powerful sangha in beautiful Asheville, North Carolina. Women who want to open up to their power and truth through voice and music to enhance their practice of seeing more beauty in self and others. Singing practices and tools to open the voice. Understanding musicianship, leadership, group dynamics. An opportunity to merge with musicians and lead kirtan (if this is your desire). For inquiries and questions, e-mail Luna at Kristinraymusic@yahoo.com. In order to pay and register, please click the payment icon below. Once payment is processed you will receive a confirmation and registration information to follow. *If paying via paypal or credit card a 3% service fee will be added to your payment.